Finnish territory apparently was intruded upon yesterday and today (27-28.04.2015). It is only logical to compare this to the so called Red October-incident that took place within Swedish waters last autumn, and while I am aware that others have already done so, I decided to have a go at it anyway. First a recap of the events: Yesterday an underwater listening station picked up a “loud and clear” sound that indicated the presence of underwater activity outside of Harmaja, at the outskirts of Helsinki. 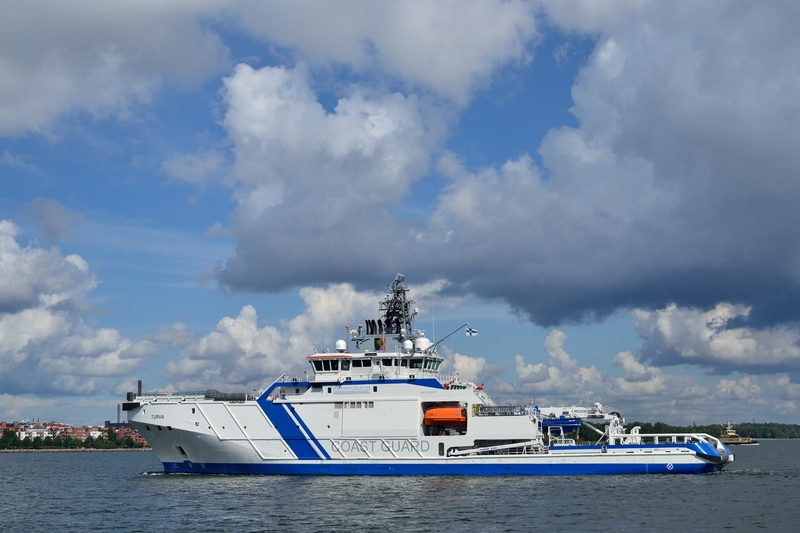 The vessel on call, mine ship FNS Uusimaa, was called to the scene. Sometimes later, the second vessel on call, fast attack craft FNS Hanko, was alerted, and the Finnish border guards were informed. 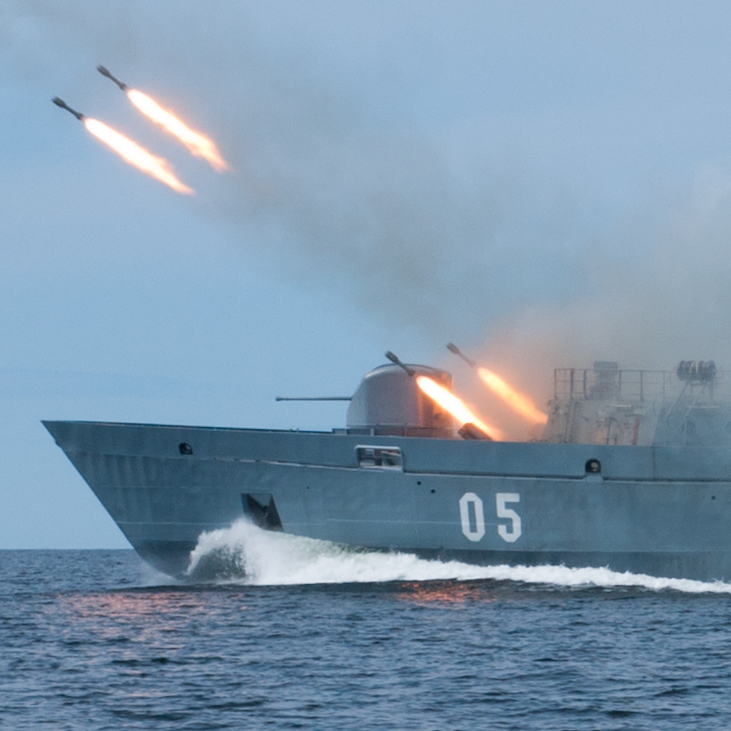 The border guards responded by sending the patrol vessel VL Turva. Of note is that the most competent ASW-ships in the Finnish navy, the Rauma-class fast attack crafts, are all temporarily out of service since February, due to hull cracks. Of the three vessels involved, only Uusimaa can be said to have a serious anti-submarine capability, with Turva not being armed in peacetime and Hanko lacking in search equipment. At around 03:00, six charges were dropped by Uusimaa, the result of which was that “no further warnings, or depth charges, were needed”. In other words, the underwater object left Finnish waters. Later today the naval vessels left the scene of the operation, while the border guards have started an investigation into the incident. The investigation includes going through all acquired material, and may take weeks. Obviously, major parts of the investigation will probably never be released to the public, due to the sensitive nature of the information, e.g. the location and capabilities of the underwater listening stations. To note is that so far the nature of the “underwater object” has not been confirmed, but a small submarine seems to be the most likely culprit. However, this gives Finland and Sweden an opportunity to “compare notes”, and check if it was the same intruder, and what can be learnt from these two incidents. To begin with, the obvious case is that both non-aligned nations in northern Europe have seen their waters intruded upon by an unknown nation within the time span of less than a year (curiously enough, none of the NATO-states have reported the same thing). In both cases, it happened during the interregnum after parliamentary elections. In Finland’s case, today was the day Juha Sipilä officially got the mission to form a government. If this is a message aimed at scaring Finland away from NATO by a show of force, I believe it will fail. Most probably, it will not have any major effect on the Finnish opinion, and in the case it does, it will most probably only give the pro-NATO side a small push forwards. In both cases, the navy responded in force, and was rather open with information about the event (and in both cases, the press was happy to fly over the area with their helicopters to provide live feeds). I would especially like to express my appreciation of the open and straightforward communication with the public that the navy initiated, something that has not always been the case. There are, however, notable differences. First and foremost, while the Swedish operation was deep inside Swedish waters, the Finnish contact was on the edge of Finnish territory. This meant that the Finnish operation was of a very different nature, with the main aim seemingly being to chase away the intruder. As far as I know, there was never any use of either alert or depth charges during the Swedish operation, which might be an indication of the Finnish vessels acquiring a better fix on their target (the other alternative is that the Swedish vessels were trying to fire for effect, which naturally requires a higher degree of target identification than alert charges). An interesting detail is that while the Finnish navy described similar incidents as “rare”, with the last two taking place in 2004, the Swedish navy stated that similar incidents had indeed taken place earlier. Edit 29042015: Finnish officials today confirmed that with “similar incidents”, only incidents when alert charges were dropped are counted. They refused to comment on the issue whether underwater intruders were as rare. No exact numbers exist from either country, but the question whether this was a one-off incident, or whether someone will start testing Finland’s defences more often remains open for now. A noteworthy feature is the reaction of Russian media. When Sweden started their subhunt, it took a few days for Russian national media before they got their propaganda machine going and started to create new theories. In this case, the news reports started coming instantly from Russian sources. RIA Novosti quoted Deputy Defence Minister Anatoly Antonov, who commented, negatively, about “reports of alleged appearances by Russian submarines in the territorial waters”. So far, no official Finnish channel has identified the object as a Russian submarine. Sputnik (which opened their Finnish service earlier this week) drew parallels with the Swedish operation, where “Sweden accused Russia of operating a submarine in its waters, later found to be a Swedish vessel”. As far as I know, no Swedish official channel identified the submarine as Russian, and contrary to the article, the main incident was later confirmed to have been a midget submarine, while another reported sighting was downgraded to have been of a Swedish vessel. The operation also highlights the differences in ASW-tactics between the Finnish and Swedish navies. While the Swedish navy employs a more traditional approach centred on vessels equipped with both sensors and weaponry, supported by helicopters and some underwater listening stations at strategic places, the Finnish tactic is based around the fact that our coastal waters are shallow and broken up by numerous islands and shoals. Thus, the underwater listening stations function like an early warning system, which locate intruders, and based on this information surface vessels can then be alerted to the scene to get a better picture of the situation, and if needed either chase away or destroy the intruder. Of note is also that the Finnish border guards were heavily involved in the operation, unlike their Swedish colleagues. Partly, this is due to the small number of surface vessels in the Finnish navy that are capable of an operation like this, a number that is set to diminish even more with the replacement of three mine ships and four Rauma-class FAC with an unknown number of MTA 2020-corvettes. The Finnish operation seems to have been a text-book example of how the Finnish ASW-machinery is supposed to work, and based on open sources all involved rightfully deserves credit for this. Some media have praised the Finnish operation as an example of resolute action, in which the enemy was driven away by the use of arms, and put this into contrast with the more modest (or even haphazard) Swedish way of chasing submarines. The Finnish navy did not “bomb” anybody, and never fired with the intent to kill or damage. Dropping alert charges is the closest one can come to communicating with a foreign underwater vessel, and the step to actually making an attack run with full-size depth charges is rather long. Also, while the concentrated effort of three (for Finland) large vessels is impressive, it is dwarfed by the Swedish armada of corvettes, mine hunters, helicopters, and marines with their landing crafts, that spent the better part of a week hunting through the archipelago. The Swedish helicopters might lack dipping sonar, but so does the Finnish ones, and unlike Sweden, Finland has no plans to acquire a heli-based ASW-capability. While the Finnish operation was well executed, the same can be said about the Swedish.